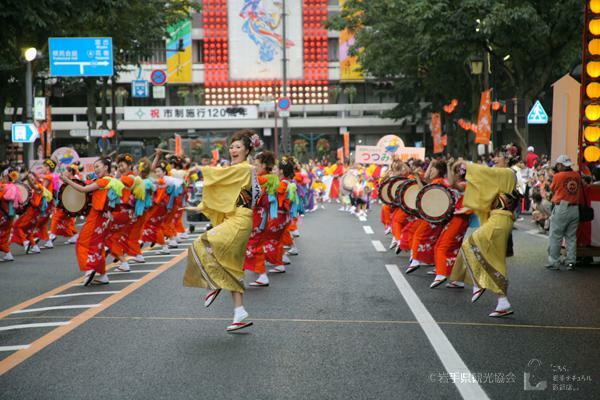 Morioka Sansa Odori Festival is being held in Morioka City, Iwate Prefecture from August 1st to 4th. It's famous for a drum parade. 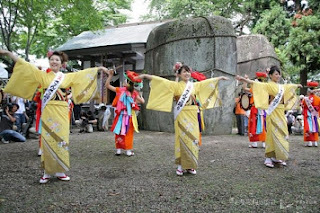 Visitors can join the festival as a dancer. The festival dates back to the Edo Period. Demons committed an outrage against villagers in the castle town of Morioka. Villagers prayed to the god of Mitsuishi Shrine(三ツ石神社) to get rid of the demons. Their request was granted. The god caught the demons and forced the demons to make prints of their hands in the large rocks on the grounds of the shrine. The name of the prefecture "Iwate(岩手)" is said to come from the demons' handprints. Iwate literally means rock hand. The villagers danced around the rocks in delight, saying "Sansa". It is said the rocks refer to three large rocks at Mitsuishi Shrine. Mitsuishi(三ツ石) means three rocks. 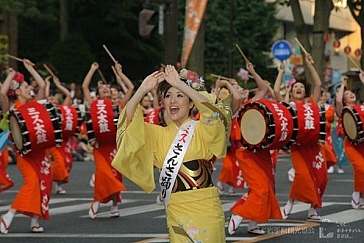 Traditional sansa dances in areas around Morioka vary in choreography and costumes. This festival including those dances was started in 1978. 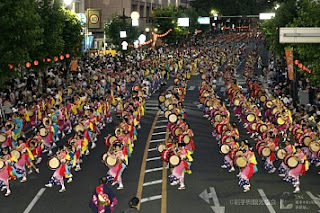 This festival is lesser known than the Tohoku's major festivals such as the Aomori Nebuta Festival, the Akita Kanto Festival, the Yamagata Hanagasa Festival and the Sendai Tanabata Festival. I saw this festival on TV some years ago.